People love it. People love the artificial representation of both real and fictitious surroundings. Stereoscopes were early attempts to trick the eyes and since the 1960s plenty of technological experiments have been carried out. However, due to technical difficulties and money problems, the results were disappointing. The vision of a virtual reality was forgotten. Until now. Combined with head-mounted displays, smartphones work as screens. Virtual reality is ready to be used by everyone. The hardware works. But what about the software? A lot of artists and developers are taking the opportunity to create simulations and games, allowing users to experience new sensations. Nobody has tried developing the underlying system so far, though. Two-dimensional objects are placed in the third dimension generating hierarchical structures. Yet, hierarchical structures are already very uncomfortable in the second dimension. 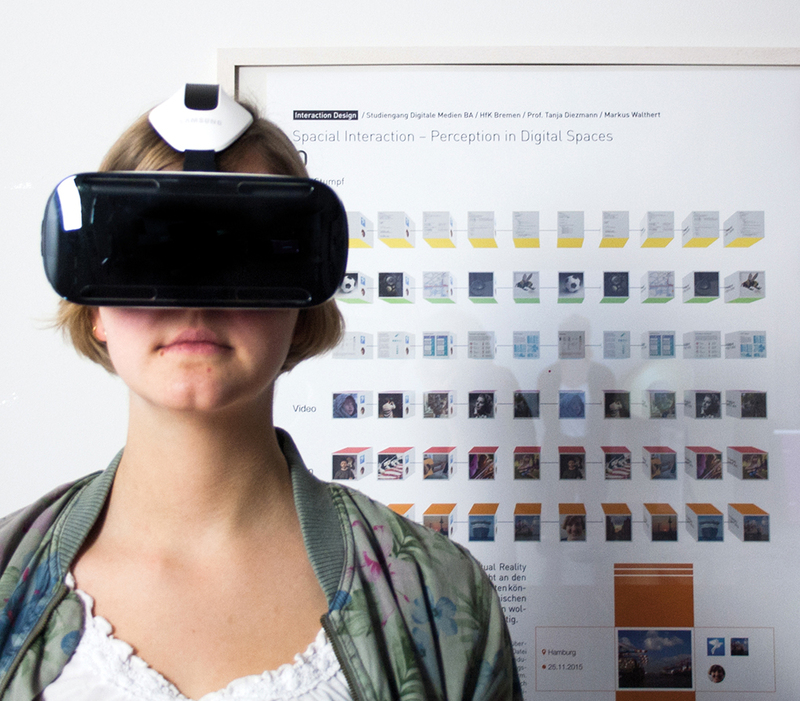 O uses the virtual three dimensions to create a flat structure, making virtual reality viable for everyday life. Virtual Reality surrounds the user. And so does O. All files are collected in the Data Pool behind the user and sorted on strands according to their file type. Those files can be put together to flexible strands in the Work Space in front of the user, however, they only create representations, no duplicates. All files are represented by boxes with different meta data on their sides. Every box also includes connections to other files, persons and versions. O shows everything. Everything you want to see. O!